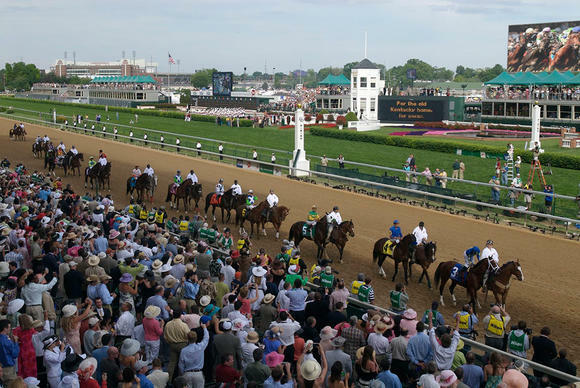 The new “Big Board” installed by Panasonic at Churchill Downs, the historic home of the Kentucky Derby, will be the only video board in an outdoor stadium or arena capable of displaying the new and advanced 4K ultra-high definition technology. Churchill Downs Racetrack (“CDRT”) unveiled a new $12 million, 15,224 square foot, high-definition (HD) LED Big Board making it the largest in the world. I saw a Big Board picture uploaded on the Kentucky Derby Facebook fan page and made a comment that I would like to blog about it to the Sports Techie community blog readers. Their social media person was kind enough to respond and share information about the Big Board and other new track features such as Section 101 and new track announcer, Larry Collmus, plus he or she shared a photograph from their smartphone shot from the middle of the track on Friday. Fans at CDRT are now able to see the horses, jockeys and track ambiance in 4K making it sports technology history. The Big Board broadcasting abilities was unveiled to the public at “Opening Night” of Derby Week on Saturday, in a brilliant evening showcase of the Big Board’s technological capabilities by the Panasonic Corporation of North America, displaying crisp, clear 4K content to enhance the fan experience. Panasonic created a sports tech product that will display in excess of 2,160 vertical lines with more than 4,000 horizontal lines of resolution. In total, the board will be capable of displaying over nine million lines of resolution enabling a wide variety of capabilities including image magnification, replays, betting odds and race results, advertising, brand messaging, split screen and ticker displays, public service announcements and many other creative elements. The LED systems are being provided by Panasonic’s premium manufacturing partner, Lighthouse Technologies, a recognized leader in high-quality LED display systems worldwide. Safety of jockeys and horses have been vital in the design and engineering of this project with the location, height, overall size and actual video board LED design all focused on avoiding disruptions to the conduct of a race. Installation work began in December and completed in March when the track is closed to training and no horses are stabled on the track’s grounds. The software and equipment that will control the Big Board will allow for multiple split-screen presentations of video, images, data and innovative live and recorded programming. Churchill Downs also will add full-1080i fixed and mobile HD cameras and a new audio system to deliver state-of-the-art picture and sound quality to its fans. 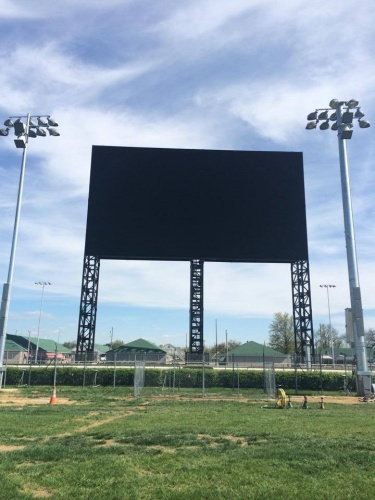 A Kentucky Derby press release furthered explained that the video board was installed about midway along the backstretch and outside the dirt course of the historic track. This position maximizes the 170-degree viewing angle for fans in the 55,638 clubhouse and grandstand seats and the tens of thousands of fans in the track’s famous 26-acre infield. The bottom edge of the 171-foot wide video board will be 80 feet above the ground and will top out at 170 feet in height making it the largest HD video board currently constructed anywhere in the world. The video board and supporting steel structure will weigh over 1,000,000 pounds and must be capable of withstanding winds of up to 85 miles per hour, says the Kentucky Derby. Along with the spectacular and iconic first turn view of the historic Twin Spires, Section 110 provides stadium-style flip-up seating and each ticket includes complete food and beverage in its purchase price. Along with the “Big Board,” Section 110 – a venue that was introduced last year – has been enhanced to include additional restrooms and wagering lines, larger food and beverage service areas, and wider aisles. 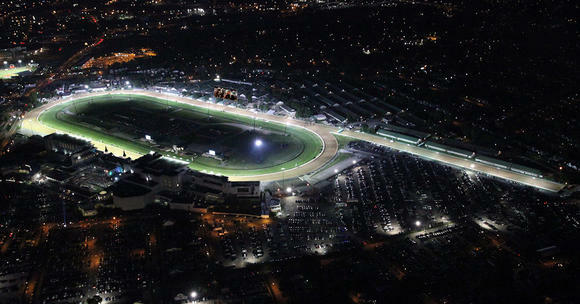 An enhanced audio system on “Opening Night” will feature a new voice calling the April 26-June 30 Spring Meet action, highlighted by an on-track call of the biggest race of them all. Larry Collmus, one of the premier race callers in North America and the world of Thoroughbred racing, will be on the microphone as the seventh announcer at the historic home of the Kentucky Derby starting with the first race of the “Opening Night” program on Saturday, April 26 that launches Kentucky Derby and Longines Kentucky Oaks (GI) Week. The 47-year-old Collmus, a veteran of nearly three decades of calling races in a career that started at the age of 18, will continue his duties as the race caller for NBC Sports on its telecasts of the Triple Crown – the Kentucky Derby, Preakness and Belmont Stakes – and the Breeders’ Cup World Championships. 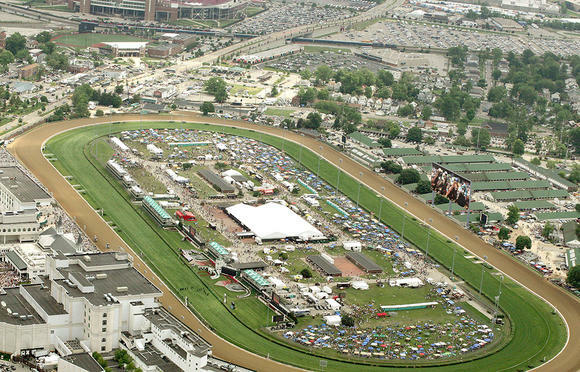 Churchill Downs, the world’s most legendary racetrack, has conducted Thoroughbred racing and presented America’s greatest race, the Kentucky Derby, continuously since 1875. Located in Louisville, the flagship racetrack of Churchill Downs Incorporated (NASDAQ: CHDN) also operates Trackside at Churchill Downs, which offers year-round simulcast wagering at the historic track. 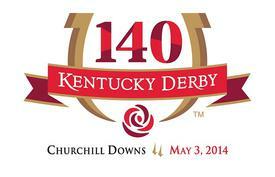 Churchill Downs will conduct the 140th running of the Kentucky Derby Presented by Yum! Brands on May 3, 2014. The 2014 Spring Meet is scheduled for April 26-June 29. The track has hosted the Breeders’ Cup World Championships a record eight times. Information about Churchill Downs can be found on the Internet at www.ChurchillDowns.com. Sports Techie, The picture above was shared with us by the social media team at the Kentucky Derby. I especially like how the image provides a nice perspective of the enormous size of the Big Board by Panasonic at Churchill Downs. “We are thrilled to have this opportunity to work with Churchill Downs to bring true 21st Century video technology to the 140th Kentucky Derby, the longest continuously conducted sporting event in the country,” said Richard Ballard, Vice President of Sales and Marketing for Panasonic Eco Solutions North America. The 14oth running of the Kentucky Derby is setting the fan experience big screen standard at horse racing venues all over world. I blogged about Panasonic’s Marinervison big screen last year – MarinersVision the biggest of its kind in Major League Baseball | Sports Techie blog. I personally love the Safeco Field venue upgrade but I understand why a stadium might decide too big is not in their organizations best interest as happened at the new Levi’s Stadium – 49ers Fan And Sustainable Technology Centric Stadium Hosting Super Bowl 50. The trend towards installing mega screens at stadiums is certainly on. The AT&T Stadium big screen in Dallas is certainly Texas big and one that comes to mind immediately in the NFL while Marinervision does in MLB. The Churchill Downs Big Board in part of a business strategy to keep keep fans coming to live events and not settle for watching the #KyDerby on the NBCSN Live Extra app next Saturday on mobile devices and TVs across the U.S. and world. Our Sports Techie community gratitude goes out to the Kentucky Derby social media team for the sports tech-centric blogging opportunity. 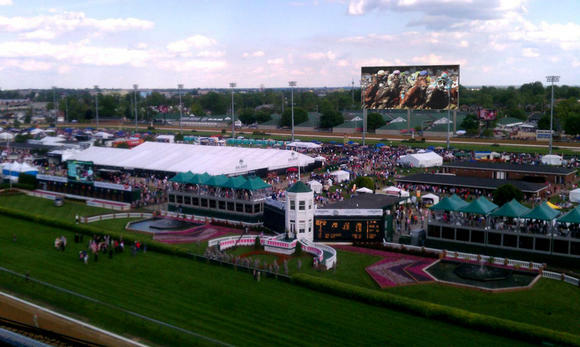 Enjoy the 140th Kentucky Derby and the new Big Board by Panasonic. Tags: 49e, 4K, activation, advertise, analysis, angles, announcer, Apple, Apps, arena, AT&T Stadium, audio, Ballpark, baseball, basketball, Belmont Stakes, betting, Big Board, Big Data, Blog, blogger, Blogging, board, branding, brands, Breeders Cup, broadcast, business, camera, career, champion, Championship, Churhill Downs, clubhouse, community, company, content, Corporation, course, court, custom, customer, Dallas, data, design, Developer, Devices, digital, display, drink, Eco, electronics, energy, engineer, enterprise, entertainment, equipment, events, Executive, Facebook, fan page, fans, Fantasy Sports, features, Field, food, friend, future, gambling, gamification, global, google, grandstand, Green, hardware, hashtag, HD, history, home, horse, host, icon, image, Industry, infield, information, innovation, Instagram, install, instant replay, integrate, Internet, iphone, jobs, jockey, Kentucky, Kentucky Derby, LED, Legends, Levi's Stadium, Lighthouse Technologies, Linkedin, Live, Live Extra, Louisville, manufacturing, MarinersVision, marketing, materials, Media, microphone, MLB, mobile, Myspace, NBA, NBC, NBC Sports, NBCSN, new, NFL, night, North America, odds, online, opening night, operations, organization, outdoors, Panasonic, Partnership, photo, pictures, Pinterest, player, PR, Preakness, President, Press, products, programming, project, promotion, PSA, public, purchasing, race, racetrack, rankings, record, report, resolution, results, rider, Safeco Field, safety, sales, San Francisco, seat, Seattle, services, simulcast, size, Skype, smartphone, Social Media, social network, software, Solution, sound, Specs, sponsor, Sports, Sports Techie, sports technology, sportsbiz, stadium, stats, strategy, Streaming, Super Bowl, sustainability, system, tablet, team, Techie, technology, Texas, thoroughbred, tickets, Track, Trackside, trainer, training, trends, Triple Crown, TV, Twitter, United States, upgrade, upload, venue, video, Video Board, weather, web, website, win, world, Youtube, Yum! It’s currently the world’s largest 4K HD LED display, but it is not the world’s largest HD LED display. Duly noted on the 4K distinction, thanks.